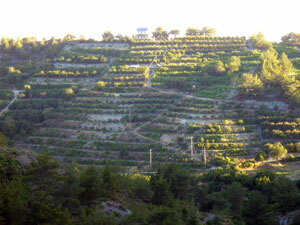 A former wine-yard has become Nashico’s main plantation. It is located in Pedeli on a north sloping mountain. On this plantation there are approximately 1500 trees, mostly 20th century and Yionashi. Some Shinseiki, Shinko and very few Shinsui are also grown here.